Americas Choice Childcare Antoine daycare provides excellent child care that is of the highest quality. We have a safe, nurturing environment and structured curriculum. 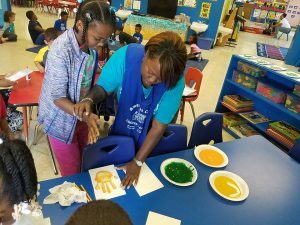 Our mission is provide creative, educational child development programs that enhance the growth of our children, their families and also our child care staff. As educators, it is our goal to create programs that meet the individual needs of each child in our care. We consistently work with parents and staff to create an environment that supports learning and developmental skills for all children who attend our facility. We encourage you to come by for a visit to our Antoine Daycare center. Please call 281.445.2221 to schedule a daycare visit. We look forward to providing your child a safe and happy childcare experience! Americas Choice Childcare, Antoine location proudly serve many families in the neighborhoods of Inwood Forest, Inwood Pines, Inwood Club estates and Greater Inwood.